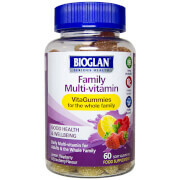 What is Bioglan Superfoods Wheatgrass Powder? Wheatgrass is the young grass stage of wholegrain wheat, harvested after sprouting. It is jam-packed with healthy nutrients including enzymes and Chlorophyll – responsible for the vibrant green colour of the wheatgrass. An ideal form of supplementation for vegetarians and vegans. Wheatgrass has been cultivated for over 5000 years and was a prized possession of the Pharaohs of Egypt. It was identified again as an important food source in the 1930s by an agricultural chemist. Why Use Bioglan Superfoods Wheatgrass Powder? Bioglan Wheatgrass is a great source of nutrients that includes amino acids, Chlorophyll, enzymes, vitamins and minerals to help count towards one of your 5 a day. Wheatgrass offers one of the good sources of dark green leafy vegetables in a convenient way that aligns with today’s busy lifestyles. So there’s no better way to start the day than with a Wheatgrass shot, or add it to your juice, water or smoothie.